"South Stokes has had the pleasure of working with the Character Under Construction program during the 2011-2012 school year. We are going to continue the program for the upcoming school year. The students and teachers both enjoy the classes and look forward to them each time. I have heard nothing but positive comments about the program. I was fortunate to observe some of the classes and was very impressed. I found myself intrigued and not wanting to leave the class. I believe this program to be beneficial to the school and community." 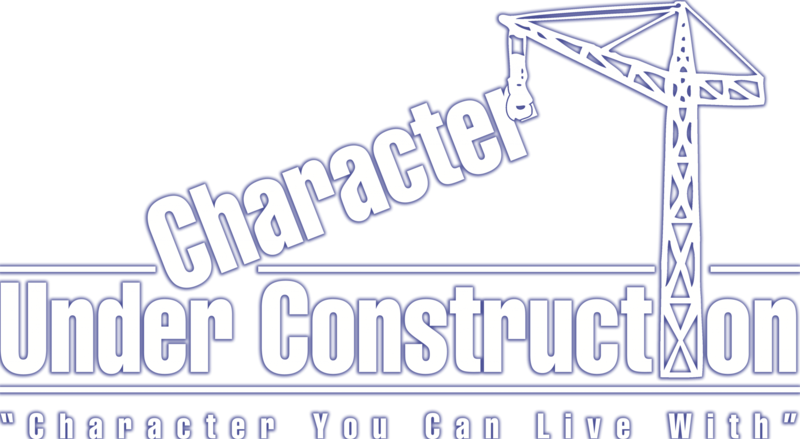 "During the 2011 - 2012 school year, students at Lawsonville Elementary were introduced to a program entitled Character Under Construction. The "Tater Guys," as the students call them. made a huge impact on not only our students' social lives, but on their academic lives as well. Giving them a "tater" or a "tater tot" during the day enforced the program and helped them remember the lessons. Character education, student motivation, and a strong sense of community are used in the program. This program embraces the Common Core Standards of learning under the Social Studies content area. We love this program and the "Tater Guys." "Let this letter serve as an unconditional recommendation for the Rock of Ages Prison Prevention Team. The program is not only informative but it helps prevent problem behavior. They are highly interesting and hold the students’ attention. Please do not hesitate to contact me further concerning this ministry and its effects upon our students." "We began with the Character Under Construction sessions once a month, and now have it in our school twice a month. We use these lessons to address all freshmen and also the students identified 'at risk.' In the past two years we have decreased in overall discipline referrals, especially level III and level IV misconducts by approximately 40%. It would greatly benefit your school district to utilize this program to the benefit of your student population." "I’m really excited about your program and feel that our students will benefit greatly from it. I can’t begin to tell you how much your program has and will continue to influence our students." "After 28 years of working with young and older children, I have a great concern for their well being and opportunities that they may or may not have. Your program, ROA Prison Prevention is right on the mark for helping the young and old alike. Your program is outstanding." "The Presentations are realistic and relevant to situations our students deal with on a daily basis." "The programs are insightful, as well as the students being able to apply the thoughts to their every day process." "Over the course of many years I have witnessed a change in students behavioral patterns and their “lack of character” building skills. The ROA Prison Prevention Program present to the young people an awesome program. The students seem to enjoy it immensely." This program is currently used in (15) states and (5) countries. Middle school and high school freshmen from different public schools were asked to write a paragraph about the Character Under Construction program they attended. Below are just a few of the remarks we have received. They are copied just as they were submitted by the students. For the privacy of the students, we have only listed their first names and have omitted the name of their schools as well. The originals and personal information are on file with Rock of Ages Ministries. "I like it because all the lessons that he has taught have helped me out a lot. The lesson over Halloween, I never knew how it all started. When he taught the Love and Lust lesson it helped me out with my relationship with my boyfriend, but I wish he would teach something over Valentines Day. Which he is doing today I can’t wait to listen!" "I think these presentations are awesome. It teaches us life lessons and how to be a better person. Also, his lessons take us back through history and show us how different holidays were started. Please keep doing what you’re doing." "I like this program because it is fun. We get educated about stuff that involves our present, past, and future." "I think this program is awesome because it teaches us to try and be the best people we can be. It really inspires us to do better and make good decisions in life. It also keeps us going and helps us be very optimistic about our futures. I personally want to thank you!" "This program is a good thing because it shows us a different point of view that we don’t think about. It allows us to be better people and shows us good examples of what we should be, do, and say." "I like this program because it helps us understand the meanings of holidays, and other important things. You make it fun to learn about it and you put it in ways that we can understand. I love this program it helps me and my friends understand life better." "My impression of this program is that it is great and they should continue to do it. The people are very funny and smart. The life lessons they teach are very valuable and will help us through everyday life." "I like this program because in every lesson I learn something new. I have learned the meaning of things like Christmas and Valentine's Day and a lot more. I also like it because the people who teach the lessons always tell us something that will help us in life. I just want to say thank you for coming and talking to all of us." "Yes I do like the CUC program. I like this program because it teaches me different things in life. With this program I have learned some things about life that I would not have learned in school. This is a great program." "This program in my opinion is a very good experience for my fellow students and me. I think that it helps us in many ways including showing us how we should act and why. I also think that prison stories help kids realize if they are not living life the way they should." "I like the program because it shows you issues that are real, and they make it fun to learn about." "I like it because it gets us out of class and it teaches us a lot and is very helpful. I Love the candy. It’s great! Another thing is you have fun when teaching and that makes it better. I think all teachers should be like you." "I like this program because when I leave class I feel inspired. I love when you come to visit." "I really do like this because it has taught me a lot about life and situations that I have faced and probably will face. This program has really good morals and is good for kids today." "I very much enjoy this program that you are doing for us. I think that this will help all the high school students. I think each of us will face the things that you go over in your program. So this will make us ready for the problems we are going to face." "I love the program and all of the people in it. The lessons really make you stop and think about the things you are doing in your life. The love and lust lesson because it makes you think about if you love someone or something." "I really enjoy this program. It makes me think about a lot of things and I understand a lot more about the holiday. The love/lust lesson we had a few months ago really helped me to think about relationships and things going on in my life." "I really like the CUC program. I like if because I get out of class but yet at the same time I get to learn a good life lesson and it helps me to know what to do in certain circumstances!" "Yes! I like the program. You guys are so funny and you do a really good job at teaching the lessons. You guys make us think and realize things. You guys act so comfortable around us that I feel like I know the Tater Crew personally." "YESSS! I love this program. Nobody ever really takes time to open our eyes to things like you guys do. Right off the bat I already feel like I know personally the tater crew. You all are great and you brighten my day when you all come here. THANKS." "I like this program. WHY? They have helped me like me for me not for who I try to be. Also we get a free hundred basically. You’re real funny and you can make people laugh and teach them to be themselves around you." "I absolutely love this program. It is very educational and exciting for the class. Also the excitement that the "Tater Crew" exerts towards the class keeps the students' attention. One of the lessons on the topic of love and lust was my favorite. It really made me ponder the course my life was taking. I have made some changes in my life as a result of that day. I love this program and I would like to see it continue." "Mr. Tater’s lessons have made me think a lot about life, love, lust, and everything. I now know the true meaning of love and there is a HUGE difference from love and lust. I have tried to make my life better by not making people feel bad and things like that. I have also given college another thought. I now know I can receive grants to pay for college." "The lessons that the "Tater Crew" teaches help us learn great values and different things to think about. The topics are very relevant and show us the right and wrong situations. I like these because their fun and show us haw to deal with high school and other reality problems." "I Like the CUC program. I like it because you get to learn about stuff that you normally wouldn’t. You can learn about interesting holidays and why they are holidays." "I enjoy your visits so very much. Every lesson taught has helped me to better myself. My personality has become a lot better. I appreciate more things in life. Every time you come it just brightens my whole day. I love your program the most because you teach us things that we can understand. God Bless." "Mr. Tater I like this program because the lessons have taught me different things. It has made me realize that there's more to life than getting mixed in with the wrong crowd and messing my life up. The lesson in particular that I absolutely love was called love. It made me really understand the difference between love and lust. All of these lessons have changed me and been an inspiration in my life and the people around me as well. So please keep doing this and continue to change people and help them see differently with your guidance. Thanks a lot buddy I appreciate it." "I really like the program because we get to learn things we need to know that we don’t learn in school. And yes it’s made me stop and think about some things that I never knew and it really surprised me. And I have learned that some of the things that I do or say aren’t right. So now I know a better way to do things and act." "I LOVE this program! The Tater guy is something my friends and I look forward to. I like this program because we learn things that our teachers don’t teach us. I also like the fact that it’s not fake. Real ordinary people teach us these things. The facts we learn about holidays are really interesting." "I really do like this program. I think it is fun, it’s interesting and its lessons are really good. It has made me stop and think about how I’ve done some of the things that I have done, good and bad. I like listening to the lessons, they get us out of class of course but they are interesting." "This program has a great meaning to it. It has helped me in various ways. The lesson over love and lust let me know how to treat your family, friends, and mostly your loved ones. This program is the greatest!!! They all teach the truth and mostly they all have a great spirit about themselves. They are there to help us kids realize what’s going on in life." "I really like the program. The lesson about love and lust has really helped me in my life and my relationships. All of the lessons have helped me a lot and they are very helpful to me. They all teach me something new about the lesson. I’m really glad that we have this program. It is great!!" "I love this program and look forward to it because it’s a break that makes you stop and think about what it is you believe. We as teenagers have the tendency to just go with the flow and make our decisions based on what others think. This program helps us to make decisions on what we really believe is right. It’s character building." "I really love this program. The people are always really nice. They always have a smile on their face. Their lessons really keep me interested. They teach about the holidays. I learned many things that I did not know before. The lessons also make me think about my life and what I am working toward in the future. I really enjoy it when they come and I hope to continue to learn different things." "I like the program. One reason I like this program is because it makes me think about things. Another reason I like the program is because it makes me look at life more serious. The program helps me let out stress. It makes me reconsider some of my choices." "I love your program. It told me a lot about love. I love the lessons because they make me think about my life. I like the lesson about lust because it showed me true love and how to treat my girlfriend and that true love is something that can make life better." "I like the program because it makes me think. It has taught me some stuff about life, and what to expect and what to learn from life. It also makes me laugh a lot. The tater people challenge me to do things and learn stuff so that you can succeed." "I like the program because they are funny and make me laugh. I also like it because it teaches you a lot of interesting things and important lessons that we can use in real life. One particular lesson I liked was the love one. I like it because it showed how you can make a relationship work." "Yes, because it makes you think what the answer is going to be. I think it will help us in the log run in marriage and love. It helps us to get out of class but we are still learning something about life and what life is and is going to be." "I like this program because it has helped me think and it is fun. I like learning about the holidays. It has helped me change my mind about doing the things that are not good for me." "The lessons are really helpful to me. The most helpful lesson so far was where we talked about “what love is and what love is not”. That really helped me in making certain decisions in my relationship (with my boyfriend). And I am very thankful for this program." "I enjoy Mr. Bellamy and the people that work with him. My reason being; it is important that somebody cares for the well being of younger adults. Times are a lot different now and people like Mr. Bellamy and others help give lessons that will stick with us, no matter if we like it or not. We will always remember what he taught us. God has blessed him, his wife, and all members with the ability to reach younger people with important messages that we will always need." "I do like the CUC program. They let us see things from a different perspective while we gain new information. For example, during his recent program about Ulysses S. Grant I learned a lot about one of our presidents. While he told us not to give up through the hard time, he adds humor to his lessons, but he is still being serious through it." "This program is something that should definitely be continued. A lot of valuable information has been given. Nobody can say that they haven’t learned something through this program because they would be lying. Even if student doesn’t get anything out of the lessons they are probably impacted by the love that the “Tater People” show." "I really like it, it keeps me from getting into trouble." "It made me think about some of the things I have done in my life and it made me think I wish I didn’t do some of them things and that I wanted (wouldn’t) want that for my kids when I get older." "I absolutely love this program. Because it teaches me a lot of things that I didn’t know and it makes me laugh. It is never boring. It is fun and it’s something I look forward to. It makes me think a lot sometimes about life decisions too and I don’t think that anyone can dislike this program. I LOVE IT!!!" "I really like this program. It has made me understand things and I look forward to the visits. The very first lesson we had when they told the story of that young boy in the juvenile detention center, was most definitely my favorite."